Earlier this month, dozens of Israeli autotech startups gathered at a special event held jointly by Calcalist and events firm Connecting Leaders Club at the Mondial de l'Automobile show in Paris. Bellow is a selection of 10 startups that took part in the event and presented their technologies to executives from companies including Renault–Nissan–Mitsubishi, Groupe PSA, Honda, Toyota, Michelin, Valeo SA, Dassault Systèmes, AXA, KPMG, Salesforce, and Guez Partners. Founded in 2016, Karamba develops software that integrates with a smart vehicle's engine control unit and automatically blocks unauthorized commands. The company employs around 40 people in offices in Hod Hasharon, a town in the Tel Aviv metropolitan area, Tokyo and Michigan. In April, Karamba raised $10 million in debt financing from California-based venture lending firm Western Technology Investment, bringing the company’s total financing raised to $27 million. In addition to software, Karamba also provides consulting services to car part makers, offering analyses of possible cybersecurity threats. The company provides this service as a way to establish a relationship with relevant companies in order to understand their needs, increase Karamba’s exposure and develop a better product, Amir Einav, vice president of marketing at Karamba said in an interview with Calcalist at the event. Tel Aviv-based Hailo develops computer chips for processing artificial intelligence applications on edge devices. In the event, Hailo introduced automakers to a chip it develops and intends to launch in the first half of 2019, Hadar Zeitlin, co-founder and head of business development at the company said in an interview. Europe is a very attractive market for Hailo, Zeitlin said. “The automotive industry is the main market we are currently focused on and we are looking to expand our relationship with relevant clients,” she added. Founded in 2017, Hailo has raised $16 million to date and employs about 40 people. 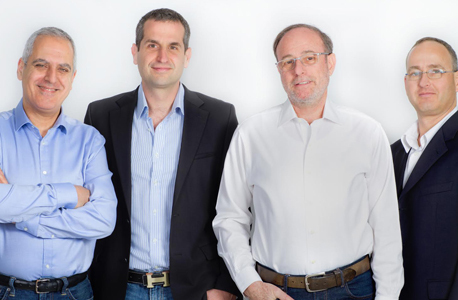 Founded in 2014 by former Mobileye executive Isaac Litman, Jerusalem-based Neteera Technologies Ltd. develops radio wave-based imaging technology that can be used to monitor vital signs including pulse rate, respiration rate, and heart rate interval. The company has raised $8.5 million to date and counts French automaker Valeo among its strategic partners. Neteera is currently scouting for potential clients presenting its chip’s capabilities to monitor the state of passengers within in a car, Maria Levin, head of business development and marketing at Neteera said in an interview. Founded in 2016, Regulus develops cybersecurity systems for sensors and communications technologies for the automotive, aviation, marine, and infrastructure industries. One of Regulus’ products is a device that protects GPS systems in cars and drones against fake signals meant to mislead the navigation system. Gangs in Latin America use fake signals to override location-based locks to steal trucks, for example, co-founder and CEO of Regulus Yonatan Zur said in an interview. Regulus has 12 employees in Haifa, a port city in northern Israel. The company has raised $6.3 million to date. Founded in 2016 and based in Rehovot, a town in central Israel, Cognata develops a system that uses artificial intelligence to simulate numerous situations a driverless car may encounter, in order to reduce the time and resources required for testing and training autonomous vehicles. In 2017, Cognata raised $5 million in Seed from Maniv Mobility, a Tel Aviv-based venture capital firm, and from Airbus Ventures, the venture capital arm of Europe's largest aerospace company Airbus Group SE. In June, German automaker Audi AG, partnered with Cognata to use the startup’s technology to test its autonomous vehicles through its Munich-based subsidiary Autonomous Intelligent Driving GmbH (AID). 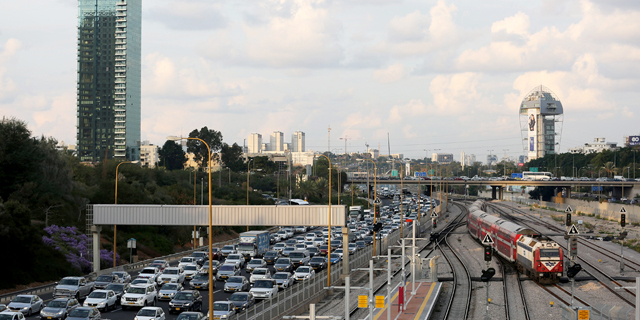 Tel Aviv-based Argus develops software that detects and prevents interferences with critical car systems by monitoring in-car communications. Founded in 2013, Argus raised $30 million before being acquired by German car part manufacturer Continental AG for an undisclosed sum in 2017. Argus continues to operate as an independent business unit, counting some of Continental’s competitors as clients, Yoni Heilbronn, chief marketing officer at the company told Calcalist in an interview. Australia Stock Exchange-listed Ultracharge develops lithium-ion fast charging batteries. Ultracharge is aiming for a six-minute recharge, co-founder and CEO Kobi Ben-Shabat said in an interview. In its batteries, the company uses Titanium dioxide, a chemical that enables faster recharge in order to avoid damage to the battery, Ben-Shabat added. Every manufacturer has its own demands so batteries have to be customized to fit a specific vehicle, Ben-Shabat said. “Carmakers say most of their models will be electric by 2030, which means there will be a huge market,” he added. Founded in 2015, Ultracharge employs 15 people in Haifa, according to Pitchbook data. Tel Aviv-based Arbe Robotics develops high-resolution 4D imaging radar systems for autonomous vehicles. Arbe Robotics’ radar uses a low frequency which enables it to operate under heavy weather conditions with relatively high resolution, CEO Kobi Marenko said in an interview. “Our biggest advantage is the $100 price tag,” Marenko added. Originally founded as a developer of collision avoidance systems for drones in 2015, Arbe Robotics has raised $23 million to date. Founded in 2015, Enigmatos’ automotive cybersecurity technology operates by applying machine learning algorithms to a vehicle’s communication data and creating an individual profile for each vehicle. 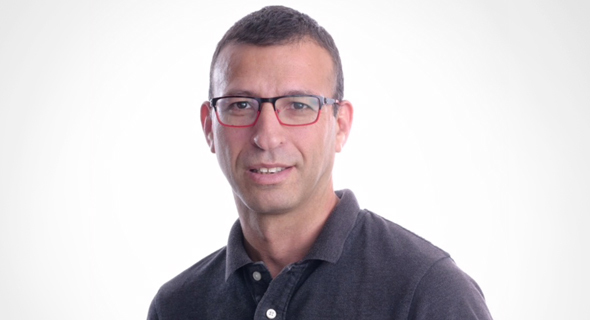 “Once I know how the communication between the different car systems operates, and how the network is constructed in the vehicle, we map the vehicle and detect every change,” founder and CEO Eyal Kamir said in an interview. The company is seeing interest from manufacturers and vendors, Kamir said. The company has recently closed a deal with a large car manufacturer looking to operate a B2B car-sharing venture in Italy and Spain, Kalush said, and GoTo Mobility is also looking for collaborations with autonomous cars and autonomous shuttle companies.